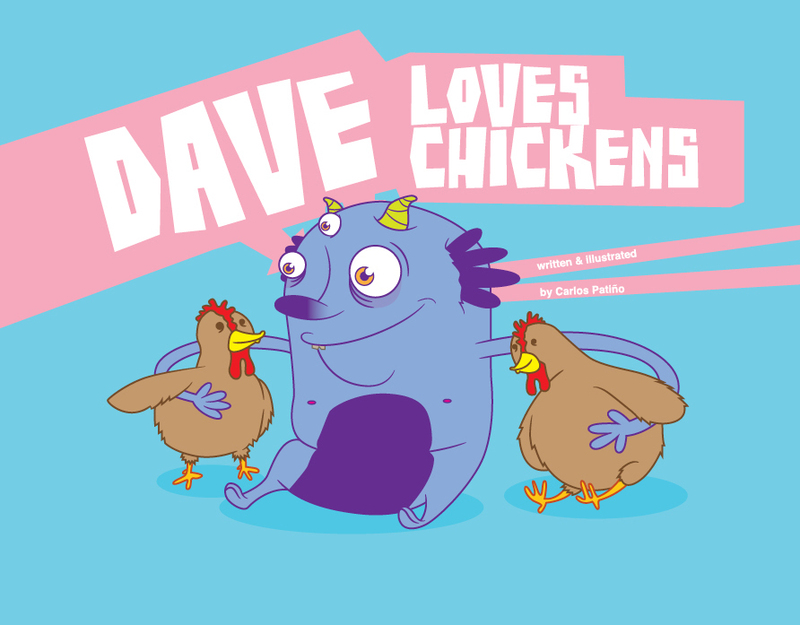 “Dave Loves Chickens” is a new illustrated children’s book by Carlos Patiño. That little blue monster from another planet is called Dave and he loves chickens! He can’t believe that people here on Earth eat animals, like chickens, and call it meat. I was once one of those people and when my eyes were opened – through the power of reading books – I became a staunch vegan. This book is designed for children to have that same “a ha” moment. “Dave Loves Chickens” is easy to read and brightly colored with lots of great illustrations. It rhymes – which is always fun for kids – and it has some great facts about chickens like that chickens are relatives of the Tyrannosaurus Rex? That was my son’s favorite part. I have come to believe that humans are not designed to eat the flesh of other animals, that we are not born that way. The conditioning is so strong and it starts so early from our parents telling us to eat this or that, that most of us don’t have a chance. Who really would ever want to eat a chicken if they knew their real deal? Or better yet if they ever actually met one and gave him or her a hug? In it’s own way, “Dave Loves Chickens” tells kids the real deal in a positive, non-threatening, advocating-for-the-animals kind of way. For our vegan family, this was a fun book to read and we give it two thumbs up!